A new species of the buccinulid genus Parabuccinum Harasewych, Kantor, and Linse, 2000 is described from Southwestern Atlantic deep waters (~54°S, 60°W). Parabuccinum politum sp. n. differs from all other species in the genus in having a smooth shell. Radula, operculum, and soft parts match the other species of the genus. 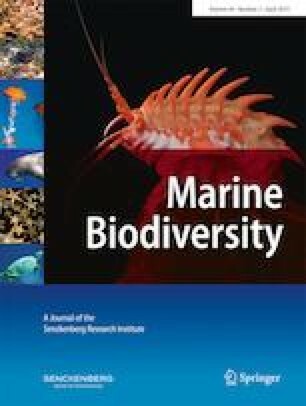 New data on the distribution of all the species of Parabuccinum extends the range of the genus to 37°S in deep waters of the SW Atlantic. Based on present data, only P. bisculptum and P. raucherti were collected outside the Magellanic region to which all the remaining species are confined. Gastropoda Buccinulidae Southwestern Atlantic Parabuccinum politum n. sp. I would like to thank the following people for their help in many ways along this work: A. Tablado, (MACN); G. Darrigran and C. Damborenea (MLP); and I. Chiesa (CADIC), N. Sánchez, J. Di Luca, and D. Urteaga (MACN) provided material from several cruises on board or the R/V Puerto Deseado. B. Marshall (NMNZ) sent photograph of several paratypes. M. Griffin (MLP) helped in many instances to improve the MS. The manuscript benefited with two reviews and editor’s excellent work. Funding by the National Scientific and Technical Research Council, Argentina (CONICET), to which I belong as member of the “Carrera del Investigador Científico y Técnico” is acknowledged. All applicable international, national, and/or institutional guidelines for the care and use of animals were followed by the author. Permits and approval of field or observational studies have been obtained by the author.